Facebook/BandierBandier’s high-end activewear has grown a cult following. Bandier is a high-end activewear retailer that stocks multiple brands as well as its own private-label collections. The company was founded in 2014, when it opened its first store in the Hamptons. It now has five stores across the United States but will be moving its flagship store in New York and opening in Los Angeles by the fall. These new locations will also have a fitness studio and café. “The beauty of [retail at the moment] and why it really is a renaissance and not an apocalypse is that it is now just as cheap, if not cheaper, to scale than e-commerce,” he said in an interview with Business Insider. Bandier is doubling down on brick-and-mortar retail while others retreat. 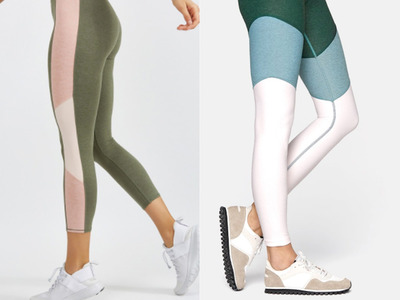 Since launching in the Hamptons in 2014, Bandier has become a key player in high-end sportswear, selling $US300 leggings – which often come with long waitlists – and stocking exclusive brands such as P.E Nation and Ultracor. Since then, it’s grown to operate five stores in total and added new lower-cost labels such as Adidas and Nike to its roster. Plus, it’s launched five of its own private-label collections. Now, the company is doubling down on its stores with the goal of creating a destination shopping experience for customers. “We want to get what we have super, and won’t accept anything that is not a positive contributor to the business,” Bandier’s president, Stephen Ippolito, recently told Business Insider at the WWD Retail 20/20 Forum in New York. Ippolito, who joined Bandier in 2017 after being an investor in the company, believes that it is poised to take advantage of the so-called retail apocalypse – the name given to the wave of store closings and retail bankruptcies that has swept the country in recent years. He believes that retail is not going through an apocalypse but a renaissance, and it is up to retailers to stay nimble and adapt to the times. BandierBandier stocks a mix of premium brands and its own private labels. One of the benefits of store closings is that it has helped to drive down commercial rents, Ippolito said. “The beauty of [retail at the moment] and why it really is a renaissance and not an apocalypse is that it is now just as cheap, if not cheaper, to scale than e-commerce,” he said. New York commercial rents have been particularly hard hit by retail store closings. The average asking rent for available retail space has dropped to $US653 per square foot from $US811 a square foot a year, according to a report released by CBRE in April. Despite the current pressure on brick-and-mortar retail, Ippolito seems confident that stores will stick around. Bandier is taking advantage of the circumstances by opening a new flagship store in the popular shopping area of Noho in Manhattan. “You need that touch point. People want to feel and experience products first-hand,” he said. But that touch point hasn’t been enough to draw customers away from e-commerce in the past – it’s an area of retail that is growing exponentially and putting pressure on traditional stores. To combat that, Bandier will be offering exclusive services in its stores. “The days of having just product in stores is dead. You don’t need to reinvent the wheel, we just need natural extensions that fit the consumer,” he said. For Bandier, these expanded offerings include new fitness studios in stores. While the classes are not free, Ippolito said that they are not designed to make the company money, but to drive additional foot traffic. Shoppers could come to the store to take a class and then decide to buy a pair of leggings, for example. “It’s not the core focus of the business. As long as it’s breaking even, it is core marketing and it’s driving traffic for retail sales,” he said. Some analysts have speculated that the athleisure trend may be waning, putting pressure on companies like Bandier. Plus, with other apparel stores vying for a slice of the action, the market has become increasingly competitive. Earlier this year, the company went head-to-head with athleisure startup Outdoor Voices after Bandier launched a new private collection, called We Over Me, that seemed to take inspiration from the popular Austin-based startup’s designs. Bandier / Outdoor VoicesBandier was accused of copying Outdoor Voice’s style in its We Over Me collection. “Embarrassing rip off of@outdoorvoices,” one Instagram commenter wrote on Bandier’s Instagram post. Outdoor Voices founder Tyler Haney responded in an Instagram story. “Each style in @bandier’s ‘new’ line is a rip off of an OV style. What kind of brand is WeMe @bandier? Embarrassed for you. People should boycott everything about you,” she said on Instagram, according to Racked. Bandier CEO Neil Boyarsky said at the time that its new collection has a unique fabric and fit. “Tyler Haney has built an amazing business and we admire and respect her, from one female-founded business to another. However, she has decided to attack BANDIER, as well as our customers and supporters with unsubstantiated claims that have hurt many people,” he said in a statement to the press in January.